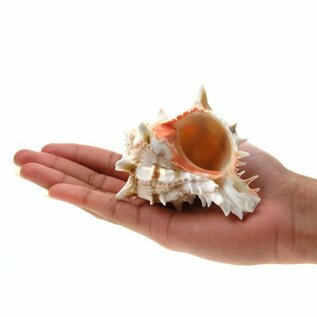 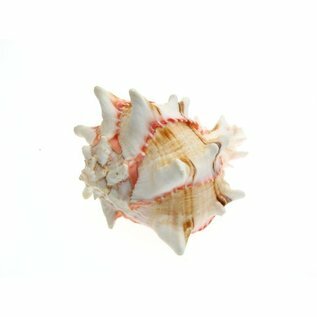 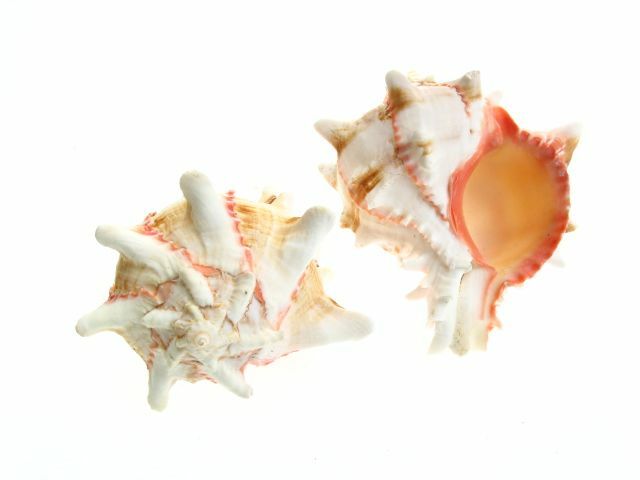 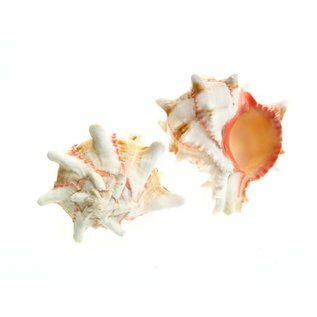 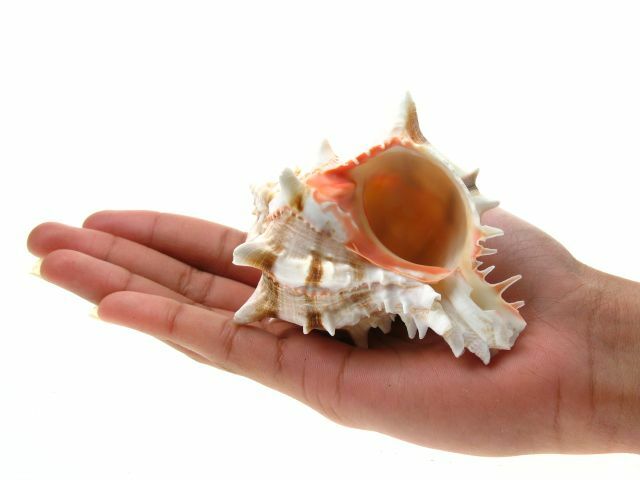 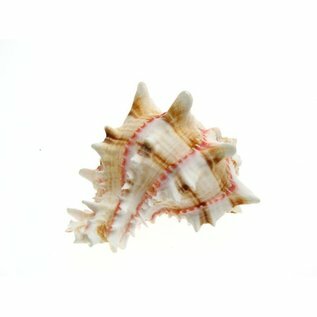 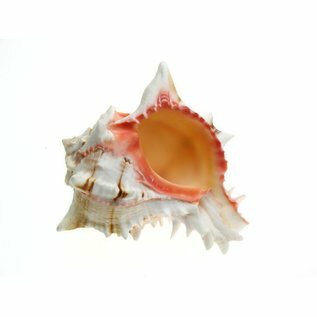 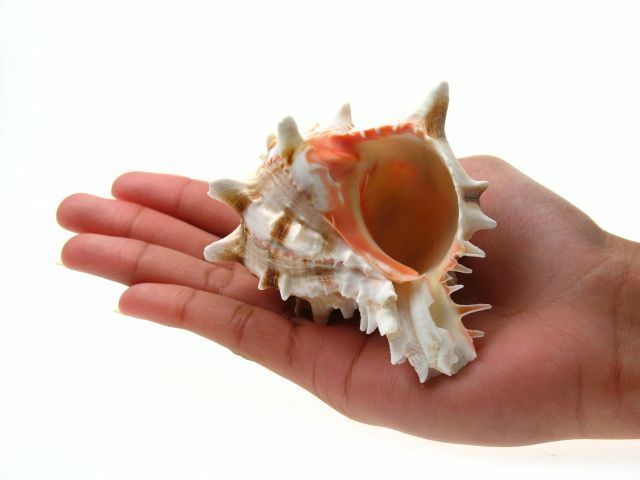 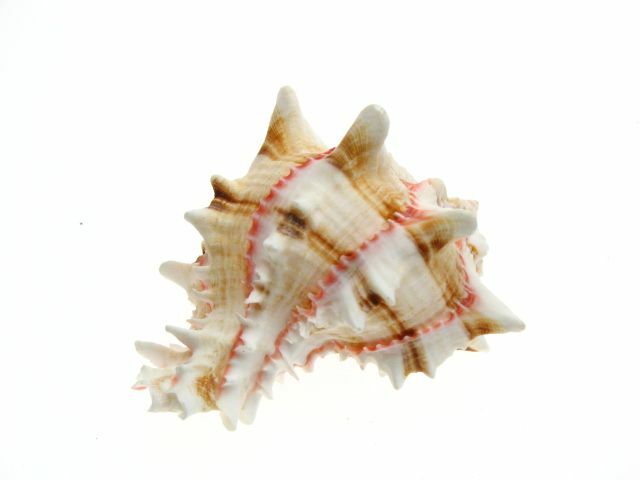 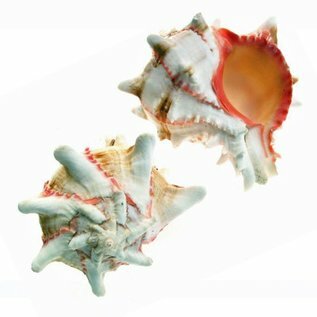 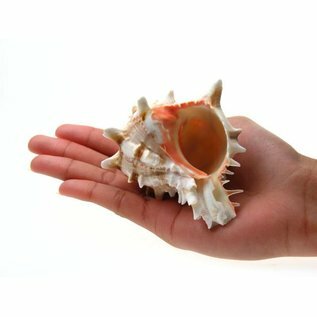 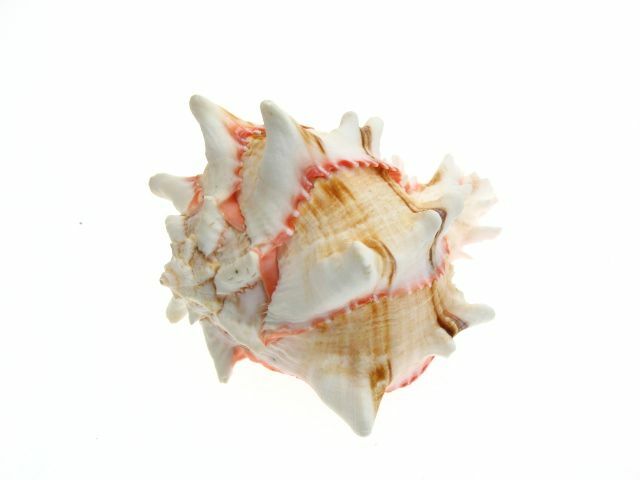 This Medium-sized Lady Murex contains a feminine pink exterior colour with a plain white, including a brown striped block pattern. 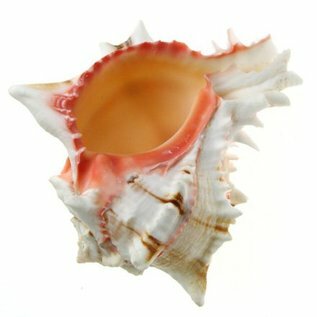 It's interior plain design breaks down the bold exterior design. 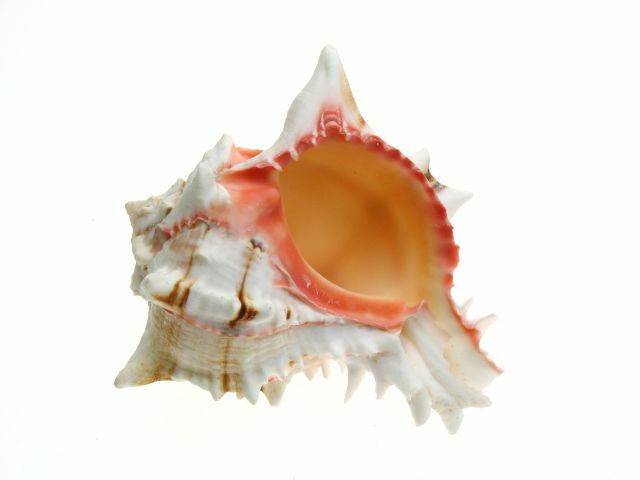 It is from the Muricidae family.